When Eric Raffin took on the role of CIO at San Mateo County Health System in 2013, he knew it would be a challenge, and not just because he’d be the first to hold the positon. The organization needed someone who could help create a sense of unification — not an easy task in a best-of-breed environment where there was little communication between departments. But nearly two decades with the Department of Veterans Affairs helped prepare Raffin to take on the challenge, and four years later, SMCHS is making great strides. In this interview, he talks about his approach to being the new CIO (which involved “a lot of listening” and learning), how he worked to incorporate change management strategies into the IT governance framework, and the question his team asks to help prioritize projects. 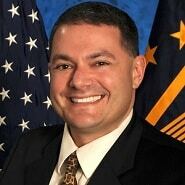 Raffin also discusses how they’re laying the groundwork to facilitate data sharing and improve outcomes, why his EHR 2.0 strategy involves much more than just the EHR, and what it’s really like to work in a public health setting. We’re really trying to simplify what we do with the information, both in the hands of our providers at the point of service, and also how we use it to improve our programs and decision-making. We’ve had folks both on my team as well as across all the other divisions that have been willing to come to the table to have meaningful debate, rational discourse, and produce something better in a workflow or a business process. There are a lot of companies that say, ‘we have this nailed; we’ve figured it all out.’ And I’m thinking, I don’t know how that is, because most healthcare delivery organizations don’t really deal with social determinants of health — not because they don’t want to, but because the framework hasn’t existed. It’s about how do we transform this data so that other people who might derive great benefit from having it at their fingertips, are able to consume it. It sounds really small, but at the end of the day it’s not, because the way we look at it, every single one of these interactions is very important. We’re excited about making some headway in this area. Raffin: And at the end of the day, this new health information exchange is like a proxy. It’s a read-only proxy for a unified electronic health record, which means I can use that for contingency planning, because it’s not hosted here. It’s hosted in a very secure data center. So when we deploy it, we’ll have a web-based way for folks to be able to get to a contingency EHR platform, and I get a normalized clinical data repository in the background. Going back to the question about information, now we have a fresh data environment that’s clean and unified. We already have our behavioral health information juxtaposed with clinical information — we have all of that mapped, indexed out, and ready to be analyzed. We’re really trying to simplify what we do with the information, both in the hands of our providers at the point of service, and also how we use it to improve our programs and decision-making by creating a new enterprise data warehouse environment where we have normalized information. So, there’s a lot going on for a small public health system. Gamble: Definitely. What you’re doing with the Master Person Index seems like a logical first step or a foundation in getting things going for where you want to be. And you’re working with NextGate on the EMPI, correct? Gamble: Okay. Now, in terms of governance, were there challenges along the way with setting that up? You talked about the spaghetti, and it seems like there was much that needed to be addressed. Was it a challenge to figure out where to go first? Or is that something where this made most sense? Raffin: It’s interesting. 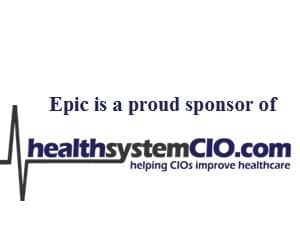 The organization didn’t have a health system-level CIO role. I’m very lucky to be the first incumbent in that role. At one point, the leadership in the organization turned to me and said, ‘here are some of our issues. You need to go out and figure out what’s happening and how we can best support all of our different providers in all of our different settings.’ Even at the very outset, the directors of all these different divisions — our medical center, behavioral health, correctional health, environmental health, etc. — weren’t really aware of what activities were going on in the health IT space around them. There weren’t a lot of synapses firing between the different divisions; for example, a decision that gets made that might impact another division, or a decision that gets made where another group might actually want to contribute and also use that solution. My goal has been to try and foster a little bit more sense of ‘systemness’; that’s what I saw as a goal having come previously from the Department of Veterans Affairs, where there was a lot of systemness. I lived in an environment where there was a lot of awareness about what was going on. Here, it wasn’t because people were deliberately not trying to do it, it’s just that no one had asked the group to come together to talk about things. For example, recently our information governance function — which is a committee that we sponsor and is led by a nurse informaticist, along with the medical center’s CMIO — we realized that when clients first came to see us, we were presenting them with numerous types of consents for treatment, as well as numerous notices of privacy practices and different releases of information forms. And it was a byproduct of preparing for health information exchange and getting ready to roll this out, which is going to be happening in the next few months. This is a health system; our HIPAA entity is San Mateo County, it’s not a specific division of the health system. And it struck us that this is a great opportunity to come together and agree on one standard for how we want to seek consent for treatment, and how we want to publish our NPPs (Notice of Privacy Practices). And the organization was very engaged. All these groups who before may never have come together to talk about this topic have basically agreed on getting down to what is essentially language for one consent for treatment, one notice of privacy practices, and just a couple of release of information documents which differ because of legal requirements. And it wasn’t that hard to do. A lot of people will say this has nothing to do with technology. My answer is, of course it doesn’t, because it’s how we manage information from the point of getting permission to gather it in the first place, which is part of the consent for treatment. The treatment is obviously documented, and all of that information can be made available, but you have to be able to first get the client to sign the piece of paper that says it’s okay if we take care of you and share your information. I’m just really glad that the organization has gotten engaged around these nontraditional health IT areas. A lot of this is things that IT people see, because we touch many layers of the organization, and I’m glad we’ve had folks both on my team as well as across all the other divisions that have been willing to come to the table to have meaningful debate, rational discourse, and actually produce something better in a workflow or a business process. We’re really very happy about that. Gamble: Right. Another area I wanted to talk about is social determinants and getting involved in using these other criteria to determine how care is delivered. Where do you stand on that right now? Is it something that San Mateo is doing at this point? Raffin: I’d say we’ve started our journey. A lot of the challenges lie in the fact that social determinants information is collected in non-EHR environments. The good news is, at the end of the day, it’s just data, and we can get to it, and we can transform it into the type of messaging that can feed the EHR space. And we can do the reverse. We can take the clinical information, as appropriate, and feed that back into the social services space where so many of the social determinants are observed by social workers, public health nurses, and community workers every day. There are a lot of companies that say, ‘we have this nailed; we’ve figured it all out.’ And I’m thinking, I don’t know how that is, because most healthcare delivery organizations don’t really deal with social determinants of health — not because they don’t want to, but because the framework hasn’t existed to do it. We’re going to dive into this by trying to take advantage of information that everyone has already agreed is right on the surface and is easy to do. One thing that’s easy to do is to understand if any of our clients are conserved, right? We run that program for the county so we know everyone who’s conserved. We know every senior that’s in some sort of board and care home. We know a lot more about where people are living and how decisions are being made about folks who can’t speak for themselves effectively. And so, right out of the chute, we want to make sure that piece of information, which is not always known, becomes part of our record. That’s a really simple example. A more complicated example is our health policy and planning folks. They do studies to identify streets that don’t have sidewalks. That’s a big deal for anyone who’s facing the challenge of living with a physical disability and may not be able to get to their primary care appointment because they can’t maneuver their wheelchair onto a bus or get into somebody else’s car. Sometimes it’s as simple as understanding there’s no street light, there’s no sidewalk, or there’s no transit. We have parts of the health system in other parts of the county that know all of that information. It’s about layering it and pulling it together, which is why things like our new enterprise data warehouse framework that we’re beginning to build holds great promise, because then we can start bringing all that information together. And it’s not just IT people making these decisions; it’s about what other information do the providers want to know that we may know in another system. Sometimes that’s as easy as understanding that a child was seen and immunized by a public health nurse. And that information isn’t in our medical center clinic function, but it can be made available in the EHR world so that when the pediatrician is looking at the record, they’d be able to say, ‘I see you’ve already had this,’ or something even simpler. When our public health nurses from family health services are out in their home visiting program — which is the largest program they operate — it would be important for them to know that if a child who’s on their caseload was in our emergency department, they’re going to have that information. It’s relevant to the service they’re providing. This is how we’re starting down that road. Our folks who deal with the social determinants of health every day are not informed about the clinical stuff going on; we’re trying to get that information to them. And then ultimately start understanding everything on a social determinant list, from educational attainment to the quality of the drinking water. These are all things that we have in repositories of information. All counties have the same information; we just aren’t using it maximally. So for me, it’s about how do we transform this data so that other people who might derive great benefit from having it at their fingertips, are able to consume it. Gamble: It’s interesting because obviously in some ways you’re still a ways away, but because of the makeup of the organization, you have a foundation because you’re closer to some of the social services than other health systems might be. Raffin: Right. They’re front and center for us. The other thing is that as we join our health information to this big collective of thousands of entities that are now participating — for example, Carequality or Commonwell — we’ll be able to query this information from literally thousands of providers and facilities around the country, we’re going to start having other things to offer that are not just clinical in nature. And I think that benefits anyone who happens to be providing a service to one of our clients. It’s about what we need for our own providers, but it’s also what people will benefit from, especially in cases of emergencies where people may show up and present unconscious. But to be able to go into a completely different EHR, do a query, and see that there’s information available, and then learn that the patient is conserved and here’s the conservator’s phone number — these are important parts of the network that you want to have when somebody is unable to speak for themselves. It sounds really small, but at the end of the day it’s not, because the way we look at it, every single one of these interactions is very important. We’re excited about making some headway in this area.